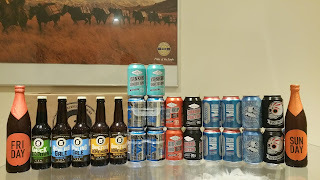 I picked up some beer at the weekend. Two of the bottles I nabbed were as much for novelty as anything. They were German beers from Brewers and Union, which appears to be a Bavarian gypsy brewery. I decided to start my Friday with a bottle of Friday. It was described as a 6.5% uber IPA and not for woosies. Challenge accepted, I opened it. It was very cloudy, lots of orange marmalade with grassy and spicy hops. It was a bit like a cross between an English IPA and a Bavarian pils perhaps. Apparently it takes 10 weeks brewing time I would expect it to clear somewhat in bright tanks in that case. 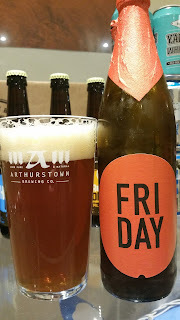 It was a decent enough IPA to start the weekend with. 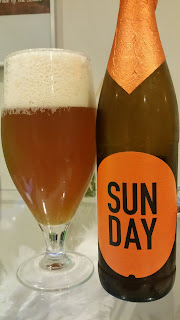 On Sunday, my last beer for the weekend was of course Sunday. This was described as a 5.5% easy pale ale. It was like a smaller version of Friday but without any of what made Friday so middle of the road. A massive pithy orange bitterness leading towards a tart finish. There was something slightly odd about it and I couldn't quite place it. Not an off-flavour as such, just something I wasn't expecting. What was odd was a distinct lack of malt flavours or aromas. It actually reminded me of a a beer I had before which contained grapefruit juice. The juice overpowered the beer and left no malt profile. And there we have it. Two beers that shall remain as their intended purchase reason: novelties. I've tried both and liked them. The 10 weeks in making is in bottling conditioning which in its self will dull any dry hop affect . 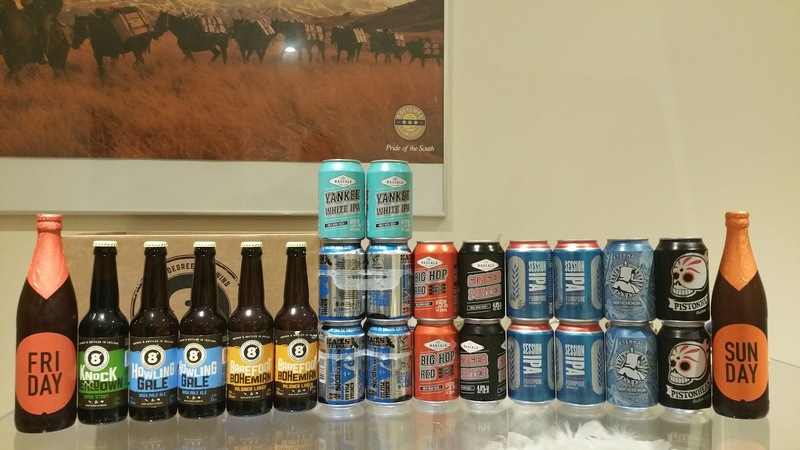 There good beers but would I make them a regular purchase probably not. Some breweries do use brite tanks before bottle conditioning. Some use them simply to mature the beer before fully bottle conditioning with a separate yeast. Others use a hybrid scenario where they begin carbonation in the bright tank and then finish it off with yeast in the bottle. Some breweries don't use brite tanks at all and others use them exclusively for ageing, clearing and carbonating beer. Some even serve directly from the brite tanks. To say "When you bottle condition you don't use a Brite tank" would be incorrect.